Northeast Distribution Center is a 164-acre rail-served property situated in the master-planned Humboldt North Industrial Park. The site can accommodate up to 2 million SF of distribution space in a number of different development schemes. Northeast Distribution Center is minutes from the crossroads of Interstate 81 and Interstate 80. 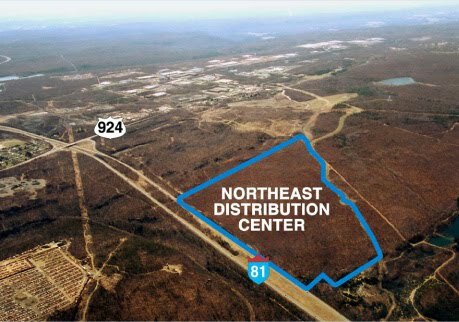 In addition to its excellent location, “deal-ready” infrastructure, and affordable workforce, Northeast Distribution Center has Keystone Opportunity Zone (KOZ) status.